Use them yourself and share them with friends. Keep in your Bible, organizer, purse or notebook. A great gift for new visitors to your church or for those working through Victory Over the Darkness or Lesson 1 of the Freedom in Christ Small Group Bible Study. 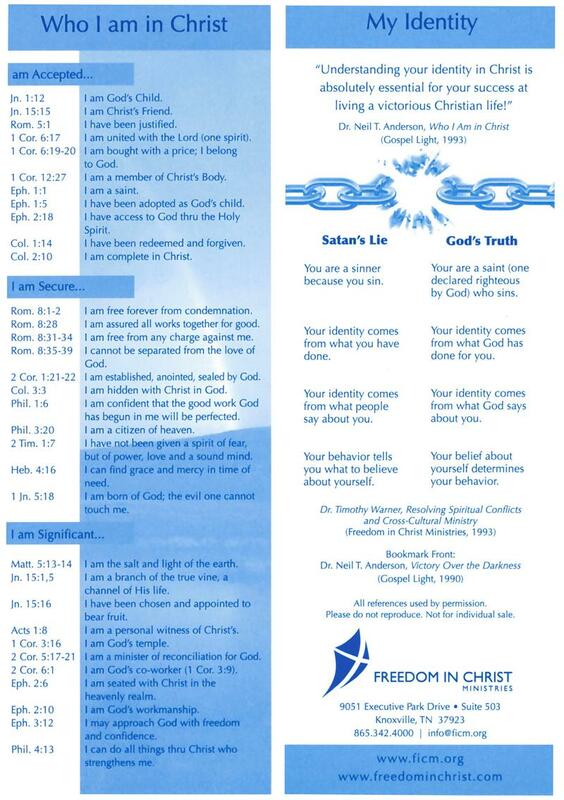 Challenge small group participants to read the statements on the front out loud each day to cement these truths in their life. Youth, Recovery and Spanish versions available. 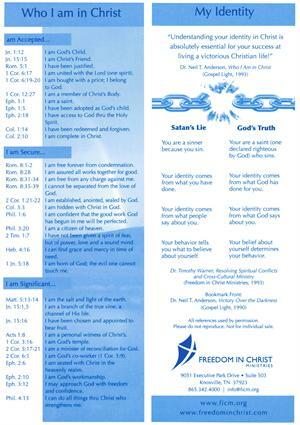 Integrate these statements into your life with several of our Who I Am in Christ items.